The consumer care number is 020 7949 0240, and the general consumer support can be found online here and FAQs on ReAura here. Sadly, there seems little chance of snapping up any final stock. Space NK, which had initial exclusive distribution rights, is no longer selling the ReAura and neither is John Lewis. In fact, I can’t see the ReAura for sale anywhere, online or otherwise, apart from the odd eBay seller. The big worry for existing users is sourcing ReAura skincare - I can’t find any for sale anywhere currently. 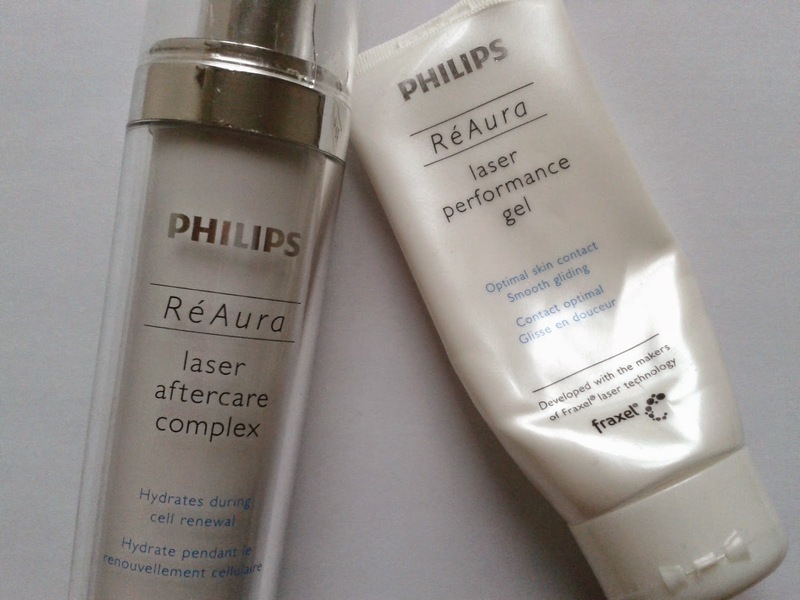 The Laser Performance Gel enables the ReAura to glide smoothly across the skin. In the user manual, Philips says not to use any other gel for this purpose. At £800, the ReAura is one of the (if not THE) most expensive home beauty devices out there. It’s considerably more costly than any other machine I own – and I have a few with hefty price tags! - but it's also one of my most effective. I've had great results with it. Understandably, users are shocked at the news. Yesterday I logged on to Essential Day Spa, which hosts a very popular ReAura user forum. Users there complained of a lack of information, and are concerned about ongoing support and sourcing the gel in particular. Philips launched the ReAura in 2011. Since then, Tria Beauty has introduced a rival rejuvenating laser costing half ReAura’s price (though there are key feature differences between the two). Space NK is now selling the Tria. There are rumours that Philips is planning to replace the ReAura with a cheaper, cut-down model to better compete with Tria. The press office said it is not aware of any new ReAura model at this time. oh no i hate it when they do that ReAura RIP. I have to say I have never heard of ReAura, though there are so many products around these days. There always seems to be a risk, you buy an expensive product and then they stop supporting it. Well, it doesn't seem to be the case here, but the gel is worrying. It might be that they say that you should not use it with any other gel just because they want you to buy theirs, but who knows. Well, hopefully they will give you some clues as to what can replace their gels.. I raised this on EDS a few weeks ago as I had noticed no longer available. Thank you for confirming my suspicions that the price had impacted on sales and not discontinued for any sinister reason such as long term skin damage, phew!